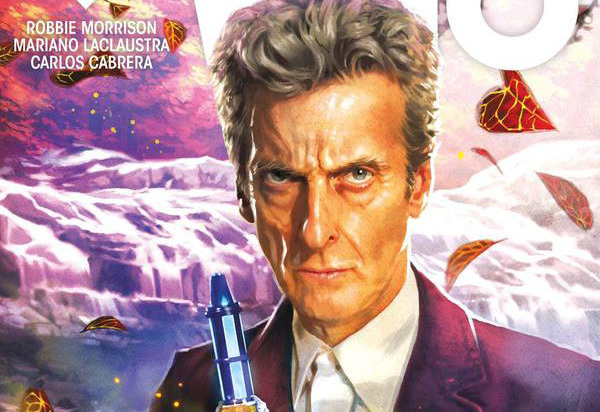 Doctor Who: THE TWELFTH DOCTOR #2.12 Review @comicstitan | Warped Factor - Words in the Key of Geek. The structure of a three-part story is probably among the simplest in drama. In part 1, you set up your threat and give it some outrageous things to do, leaving your audience a bundle of questions, desperate to have them answered. In part 2, you cross a great storytelling void, filling it in under your feet, so you understand what your villain is and what they’re about, ready for the heightened consequences at the end of Part 2, and the clever, or scrambling, or against-all-odds defeat of the villains in Part 3. 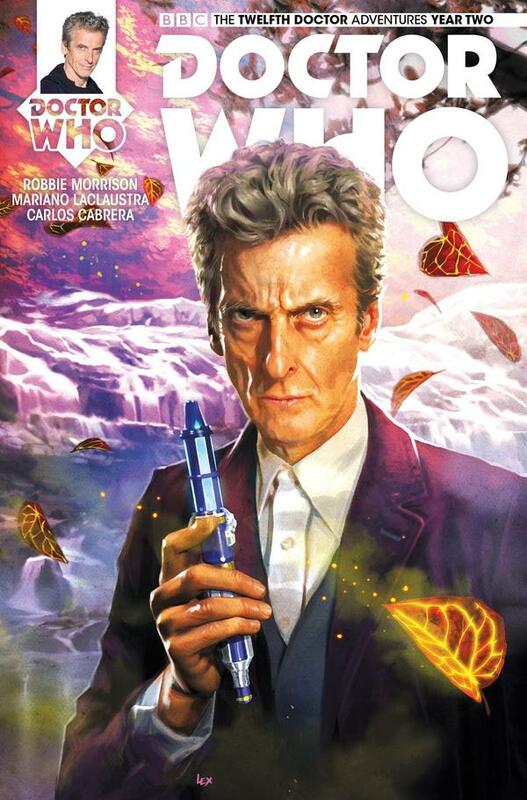 The Twelfth Doctor #2.12 is a cracking Part 2 for this three-part story. In case you’re just joining us…we’ll wait. Go back, get issue #2.11 and read it now. No, seriously. Right – so Cardinal Richelieu’s mysteriously alive, fifty years after he should have quit this vale of tears and disappeared into the great beyond. But he’s absolutely not the man he was – he has fork-tailed fiends waiting in the rafters to dispose of anyone who threatens him, and he and his acolytes, given any excuse, ooze pure darkness out of their mouths, eyeballs, anywhere you can imagine really. It’s disturbing as all get-out, and while it’d make for excellent on-screen Who, when you have an artist like Mariano Laclaustra on the case, it actually works better in two dimensions. There’s more impenetrable menace about the idea when it comes to you through the pages of a comic-book, because there’s less of an audience-distance for the darkness to cross. It gets into your mind far more directly and refuses to let you go for quite a while once you’ve put down the comic-book. The Twelfth Doctor, in the hands of a storyteller like Robbie Morrison, is always going to accentuate the things that make his on-screen persona cool – he doesn’t particularly care about hurting people’s feelings, mostly because he has to really concentrate to realise those feelings are there, or understand why they would be. It’s almost as though the Twelfth Doctor has outgrown ordinary mortal emotions in this incarnation, gone beyond them as he’s gone beyond the normal life-cycle of the Time Lords (‘D’you honestly believe betraying me would make a difference?’). Morrison translates that into sharpness, but never outright cruelty. He delivers a Twelfth Doctor for the most part waiting for the universe to catch up, but excited when he finds people who can give him a different slant on it all. Slants don’t come much more different than that of Julie D’Aubigny (seriously, you really need to look her up, she’s ridiculously awesome for a real person), who has joined the Doctor on his quest to work out what’s going on with the whole ‘bleeding darkness’ gig. It’s a spikier relationship than he’s had with a companion in this body, and here’s a tip for Series 10 and beyond writers – the Twelfth Doctor works well with spiky! Give us more spiky! Between them, they eat up the page with personality, and a quick bish-bash-bosh in the Tardis scanners gives us a clue as to the origin of the whole sentient, possessive darkness. What it might be doing here though, especially swanning about in the body of Cardinal Richelieu, is a whole other question, and when in doubt, the Doctor who installed bookshelves in the console room knows where to go – next stop, a secret library. Now, there’s a delicious bit of mischief here with psychic paper. Usually, this hit-or-miss device just gives the Doctor access to swan about like he owns the place, and stops people pointing swords or guns at him quite so much as they used to in the Classic era. But occasionally, a writer will push it just that little bit further, as Morrison does here. The results are solidly comical, while also pushing the story along, through a second ‘flashback in woodcut’ sequence – in issue #2.11, we got caught up on D’aubigny’s early history through this change of artistic style from Laclaustra, and here, Bishop Mazarin, the Cardinal’s librarian, fills us in on events in the life of the stalky priest in a similar woodcut section that brings us forward massively in our understanding of how he went from just the most feared man in France to something on a whole other level of scary. The Cardinal, meanwhile, is exercising his scariness up on the rooftops, talking to his servants and making plans of his own. As ever in a Laclaustra comic-book, there’s a crispness and a precision to the visuals here that makes the experience real rather than notional, immersive rather than passive, and at several points in this issue, Laclaustra and his assistants, Fer Centurion and Agus Calcagnano, make use of a newish technique in the Who comics – a kind of intentional blurring to add action. It’s almost perverse – the eye tries to see a blurred image, but the brain interprets it as intended, as an image of things and people in motion. Perverse then, but seriously effective. And it’s important too to give colourists Carlos Cabrera and Juan Manuel Tumburus the credit they deserve for taking the inked version and filling it with light, warmth, colour and emotional contrast as the story unfolds. In issues like this, you can genuinely see the harmony between the writer, the artists and the colourists at work, and you end up with a finished result which feels more weighty than you might expect in a comic-book, something that’s cheap at the price you pay for it. As the storyline rattles to its cliff-hanger, there’s a sense, as in quite a lot of the best Who, that you can feel it coming before it arrives, so the cliff-hanger page, when you get there, is like an inevitable wave crashing over you, and when it crashes, it elevates the stakes and the scale of the story, leaving you almost gasping, knowing something big and clever and Time Lordy is going to be needed in issue #2.13 to get the Doctor and D’Aubigny – not to say France, possibly Earth, and equally possibly the universe - out of the mess which Richelieu’s schemes and his refusal to face his human destiny have got them all into. Go now, get issue #2.12 of The Twelfth Doctor, and immerse yourself in artistic richness, storytelling punch and a twisted, creepy idea that’s given the room to run and grow as we learn about it. The Twelfth Doctor’s been well served in his year off-screen by the Titan Comics arcs and artists that have delivered him up to us. On the evidence of this, he’s ending the year on a serious high – at least in two dimensions.